Sunny weather’s on the forecast for most of the Golden Week holidays! Even if you can’t take the entire week off, there’s still plenty of art to enjoy in scenic spots not far from the city. We suggest the following outings as single-day or overnight trips from the Tokyo area. Even better, most are eligible for MuPon discounts! 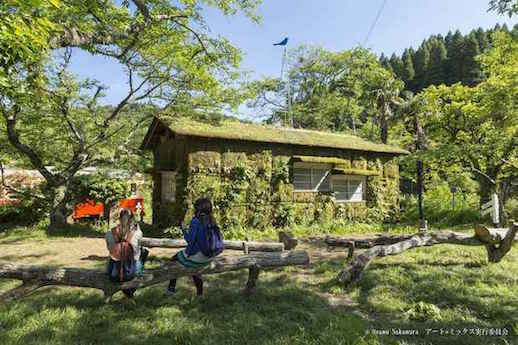 Ichihara Art x Mix in Chiba offers rolling hills of yellow flowers, a steam locomotive, and contemporary art spread out across the idyllic Boso countryside. Don’t miss the constellation-like works of Hiraku Suzuki, Acconci Studio’s towering Museum Stairs/ Roof of Needles and Pins, or a dirt restaurant curated by “soil sommeliers.” The lineup also includes workshops and outdoor performances centered around the Ichihara Lakeside Museum (now showing Carsten Nicolai’s Parallax). This site has handy information on getting to Ichihara. Always a fun getaway with a hot spring and ranch/petting zoo nearby, the Hara Museum Arc in Gunma is currently featuring the whimsical sculptures of Kengo Kito. 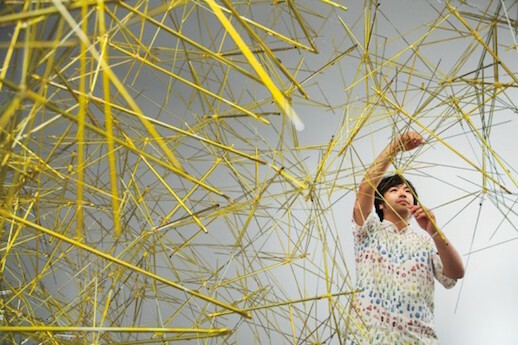 The inventive artist has chosen hula hoops as the central motif for his spring installations, continuing his practice of building delicately balanced structures from household items like rubber bands, umbrellas, and soccer balls. Clematis no Oka is the picturesque home to a flower park, an outdoor sculpture garden, a pizzeria, and multiple museums, with a free shuttle running from Shizuoka’s Mishima Station. The May Sun at the Izu Photo Museum, one of the onsite venues, presents American photographer Terri Weifenbach’s elegiacally serene series ‘The Politics of Flowers.’ Also at Clematis no Oka, The Vangi Sculpture Garden Museum displays the work of painter Rieko Hidaka. Her tree branches in black and white are depicted from low vantage points peering up into the sky – the perfect way to set the mood for a cloud-gazing Golden Week. Before passing away at the tender age of 38, self-taught artist Wols evolved from a realist photographer to a lyrical expressionist painter and established himself as a frontrunner of Art Informel. See the extensive scope of his work at Kawamura Memorial DIC Museum of Art in Sakura, Chiba. If you haven’t yet been to this oasis boasting lush strolling grounds and a spectacular Rothko room, now is your chance. 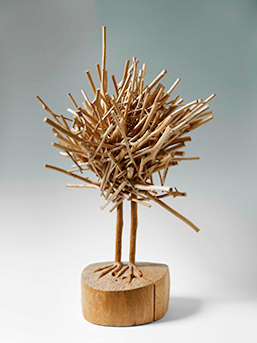 Head out to the Museum of Modern Art, Hayama near the Zushi coast for Bikky Sunazawa: Sculpted Spirits in Wood. On show are stately masks and totem pole-like statues by a long-underappreciated artist from Hokkaido. Sunazawa worked with wood as a medium expressing the sacred power of nature in works with a distinctively postwar vibe. MOA Museum of Art reopened this winter in the resort town of Atami, which entices with the trifecta of classical Japanese art, ocean views, and hot spring soaks. A special Golden Week showing of the reconstructed residence, tea room, and atelier of Korin Ogata coincides with The Beauty of Rimpa and Korin Tea Ceremonies. The 17th century Rimpa School artist is best known for his folding screens painted with flowers set against dazzling gold backgrounds. Korin’s Residence will be on rare view free to museum goers from May 2 through May 6. For more art adventure ideas, check out the FREE TAB app with hundreds of exhibition listings, GPS navigation, and plenty more!